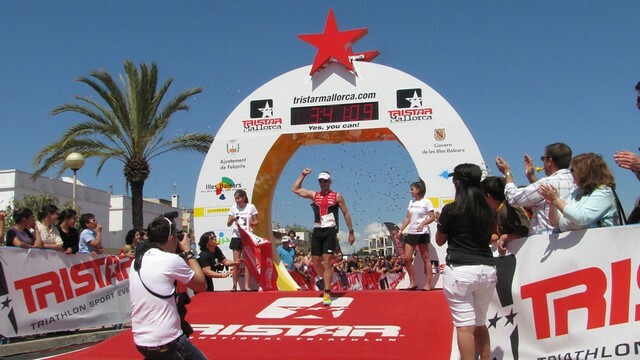 Olivier Marceau (SUI) is the winner of the inaugural TriStar Mallorca, Marcel Zamora (ESP) and Normann Stadler (GER) placed second and third, respectively. Eilean Mullan (IRL) won her first race as a professional athlete before Tamsin Lewis (GBR) and Heidi Jesberger (GER). The triathlon race over unique distances in the authentic village of Portocolom, Mallorca, was an opportunity for many of the sport’s greatest athletes to test their shape at the beginning of the season. 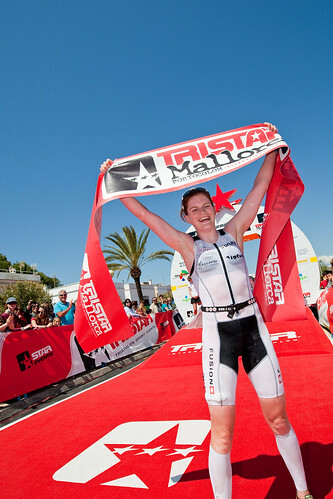 TriStar Mallorca has met all expectations today with more than 350 participants and one of the best casts of the stars of the sport of Triathlon. 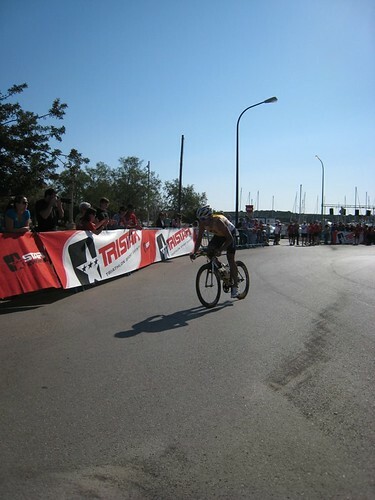 Olivier Marceau was the winner of the first edition of Mallorca TriStar111 on a fun day packed with suspense, which has brought thousands of spectators to the Club Nautico Porto Colom in Felanitx, Mallorca. “The race was much harder than I thought and the bike course is really demanding,” said Marceau, who finished in 3:40:29. It’s Marceau’s second TriStar victory after TriStar Monaco in September last year. “After I crashed on the bike I could not keep the pace on the run, unfortunately, but it was a great race to start the season, regardless,” said two-times Ironman World Champion Normann Stadler after finishing in 3:41:24. Eilean Mullan from Ireland had her first go as a professional athlete, and it might be we’ll see her name more often in the future. She managed to keep up British Tamsin Lewis’ pace on the bike and was the stronger runner in the end. “I always loved running, now I need to learn to cycle,” said Mullan, who finished in 4:10:27, with a twinkle in her eyes. “She is just the best runner,” said Tamsin Lewis, second in 4:12:22. Germany’s Heidi Jesberger came in third almost a quarter hour later in 4:26:21. “I think I was just too timid on the descents. Anyway it was a wonderful race experience and I look forward to more,” she said after the race. 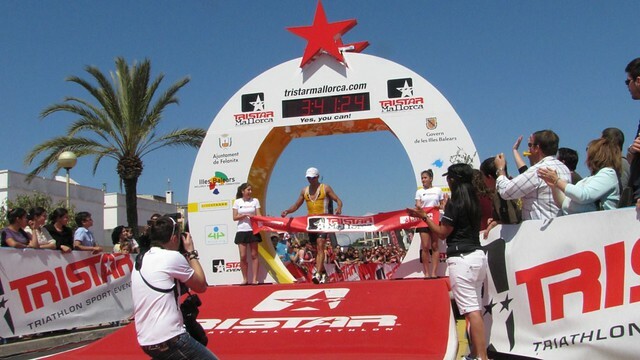 TriStar55.5 Mallorca, which also took place today, offered the same race with the half distance, especially for beginners and fans of short distances. Richard Calle Martinez from Barcelona, won in 1:57:04, and VILLALONGA LLUFRIU Catalina Villalonga Llufriu from Palma de Mallorca won the female category in 2:29:17. 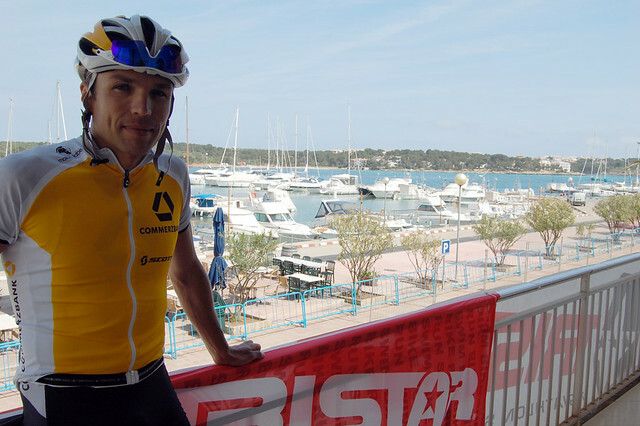 TriStar Mallorca supports ASPANOB, a local cancer care charity, together with Livestrong™. Thorughout the race weekend, funds are collected on spot and online in order to help ASPANOB held cancer affected children and their families. Click here to download the official results. 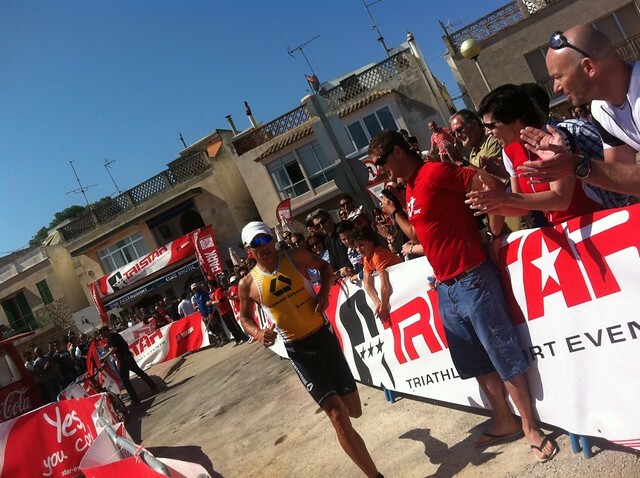 Olivier Marceau wins his second TriStar111 title today in Portocolom, Mallorca. "The race was harder than I thought" said Olivier, who managed to get the lead on the Run and who finished in 3:40:29.
and Normann Stadler, who took the lead on the bike and kept it until out on the run finished third in 3:41:24. Today it's Agustin TRIGO's birthday! He lives in London, races with #582 and turns 31 today! Cumpleaños Feliz! The Run course of TriStar Mallorca will take athletes out eastwards along the harbour of Portocolom, and then along beaches until the lighthouse. Heading back to town, they will come to the turning point at the harbour, before going on the second loop. 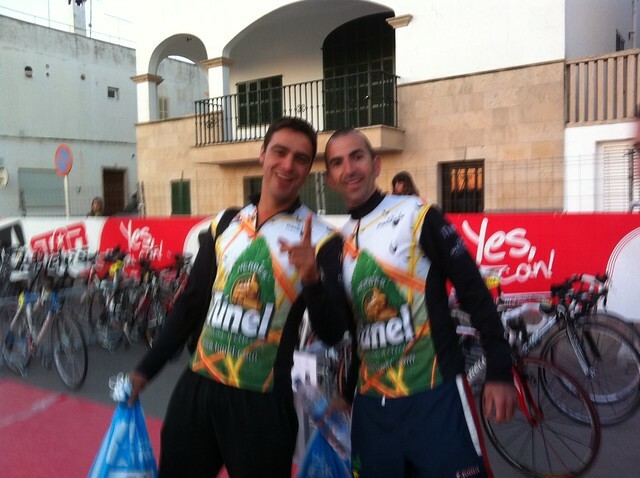 TriStar Mallorca supports ASPANOB! This association of parents of children affected by cancer in the Balearic Islands was created in 1987 by a group of parents who met in order to improve the quality of life of kids between 0 and 18 years with cancer and their families in the Balearic Islands. Since then, ASPANOB has been growing, working day by day with the satisfaction of seeing, year after year, how their activities increased and more important programmes expanded. The association, after twenty years, is still faithful to the principles and objectives that motivated its creation. All ASPANOB activities are aimed at helping and giving support to kids with cancer and their families, to improve the family's acceptance and dealing with the illness, the detection of problems and the family's needs, providing the necessary solutions. If you want to support ASPANOB, too, you can do so right now, online. Please click here to make your donation, no matter how little it might be, every donation counts! While 75 of the TriStar111 athletes are already through km 50 on the bike, the TriStar55.5 will start their race in about ten minutes. Then athletes of both races will soon mingle on the beautiful bike course of the inaugural TriStar Mallorca. Our official photographer will also soon come into our intimate office at the finishline (read "180 decibel and 2 Spanish-speaking race announcers":-) ) in order to select and upload the best shots from the bike ride. 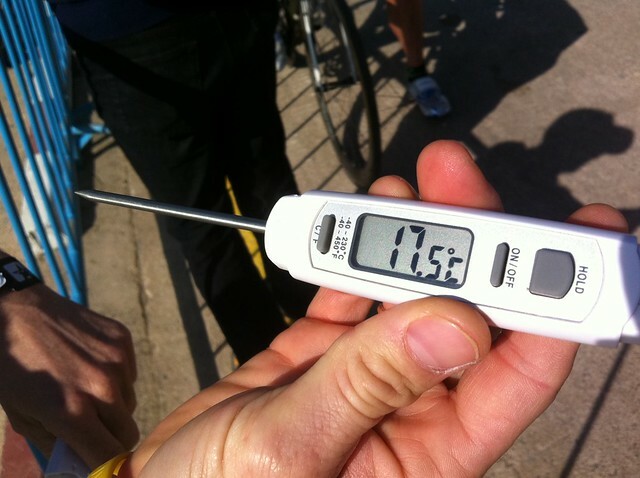 How many of the 350 athletes in today's TriStar111 and 55.5 Mallorca have ALREADY DONE a TriStar race in the past? You can win by posting your estimation on our Facebook Wall The closest estimation will win the entry today in the afternoon. You can read the spotter updates on the right in our twitter feed. We should get info every 10km in addition to the timing points that will show up in the LIVE TIMING tabs. #224 Johann MICHELON (AUT, 63 year) in the 111 and #643 Tomeo MULET SEGUI (ESP, 61 years) on the 55.5. #522 Xavier COVA TORDAY (ESP, 19 years) in 55.5, and #21 Niclas BOCK (GER, 20 years) in the 111 race. Need a closer look at what the participants will have to face today?! Click on the image to see it in Google maps! the BIKE course - San Salvador calling! TriStar has a slight focus on the bike section of each race, which is quite obvious when looking at the breakdown of the distances. Additionally, all races try to feature special bike layouts that remain in people's heads. The thing that will definitely remain in the participant's memory is the climb up to 494m San Salvador. A very technical part of the race on narrow, winding roads. That's definitely the main difficulty of the race (both up and down! ), and it was the topic in almost every athlete's conversation we could overhear in Portocolom. We hope you enjoy that we're providing the most recent and convenient system of displaying times on the internet in the world of triathlon - with TriStar you can filter and check the times YOU need. Yes, you can! The Swim starts at Portocolom Harbour from the water. Tha participants start from the water with the pros ahead - they wear differently colored swimcaps so they are easier to distinguish. It's a clockwise swim around 4 buoys before the athletes can exit the water. 1000m for the TriStar111 athletes and half the distance for the 55.5, with the same start and exit areas. 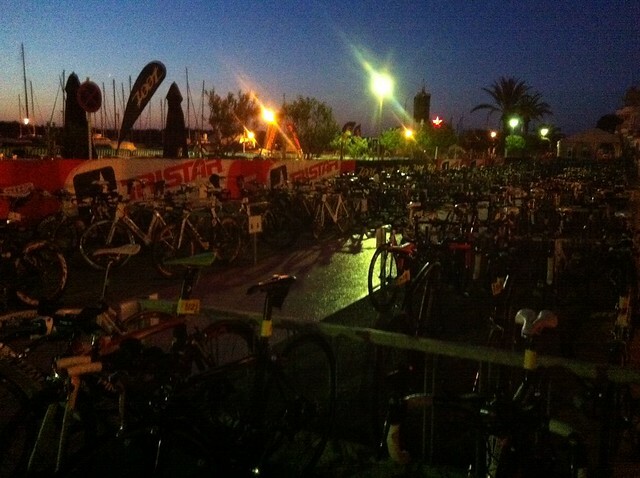 The bike park is getting busy as the starters of TriStar111 Mallorca and TriStar55.5 walk in the bike park. 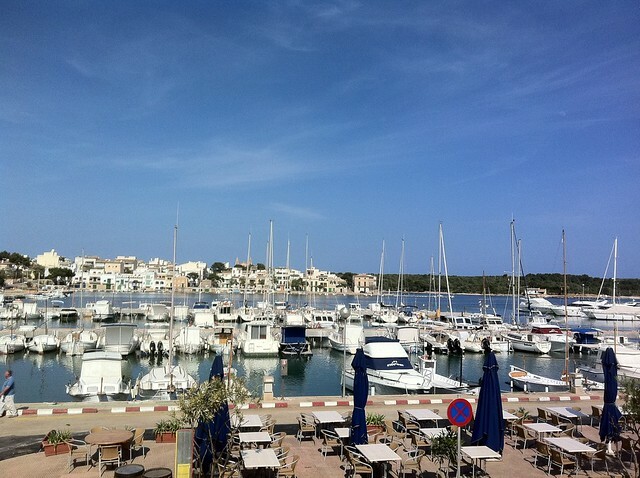 All race setups here in Portocolom are built at the Club Náutico, on the west side of the harbour. In an hour and a half, the start will be given for TriStar111, at 8:45. 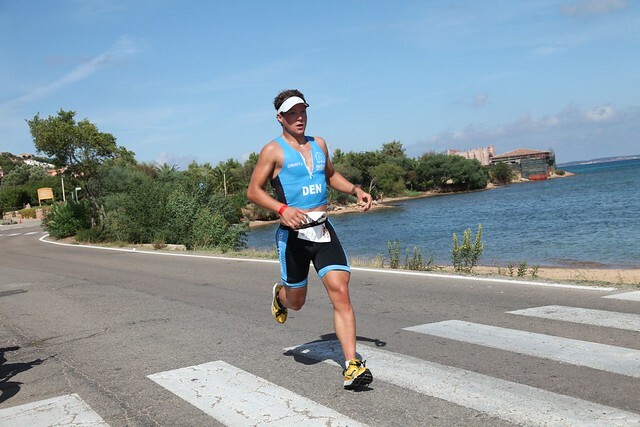 TriStar111 is the new race that has been added here in Portocolom, while the Olympic triathlon that has taken place for the past 13 years is turned into the TriStar55.5 race. Good Morning - it's Race Day! The bike park opens in 15 minutes for the 111 athletes, and they will pump their tyres, prepare the bikes and get ready for the race while wishing each other a good day. We'll prepare two different ranking tabs for you, one for TriStar111 and one for TriStar55.5, so you can choose which race you'd like to follow with the live rankings. Jaume Vicens lives in Felanitx (the "x" here is pronounced like the English "j" in "jungle") and has been setting up this race formore than a decade. "We started as a Olympic distance race 13 years ago, which eventually was turned into a sprint race of the prestige series, and later back into a Olympic race. The layout of the race was pretty much the same as now, but the climb up to San Salvador was not part of the race. In 2009 and 2010, the race was a qualifyer for the Spanish National Championships"
"Around 40 people help me since years to get everything done before the race, and I am happy to have people like David and Luis around to make this happen. The support from the local authorities is great. We had 250 athletes racing last year, mainly locals. Now with TriStar, more than 350 signed up, 150 of which are international guests - that's incredible!" "Everything is set up and we're checking things this evening after the Energy Night", he said while talking with Xisco Bonnin, headmarshall in tomorrow's race. 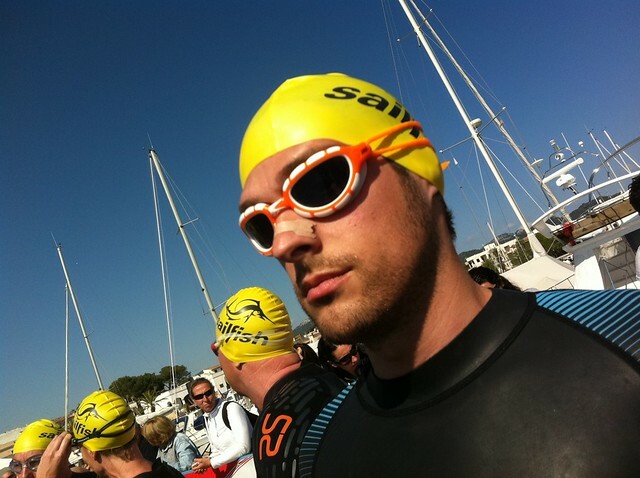 On a very sunny moring, athletes came to the official swim training and wetsuit testing session by sailfish wetsuits. The water temperature is 17,5 degrees today, and if there's no extraordinary heat wave swapping into the harbour of Portocolom tonight, wetsuits will be allowed (even recommended!) tomorrow during the race. Yesterday was the first day packed with official program here in Portocolom. The Star&Co opened it's doors (well, there aren't any...) and 100 athletes picked up their race packs and the welcome present - a backpack from zoot. The bike course recognition and press conference were held, and a photo shooting with the TriStar ambassadors was staged at the Cape Colom Hotel. followed by a quick briefing (everything has been published online already so no need to get stressed last-minute!) and the Energy Party at the Cape Colom Hotel. Then most probably participants will try to hit the sack early, while the organisers will make sure everything is in place - it pretty much feels like it and all are looking forward to a great race day. Our TriStar Ambassadors Coralie Lemaire, Ain-Alar Juhanson, Esben Hovgaard, Joel Jameson and Olivier Marceau had a photo shooting this afternoon at the Cape Colom Hotel. Martin Steinthaler - TriStar's official photographer - managed to stage some great sets - thank you, Tine! You will see some of the images in future advertisement campaigns... and here's a short "making of". Enjoy. My first triathlon, so anxious!!! I’m sure I will enjoy it 100%. 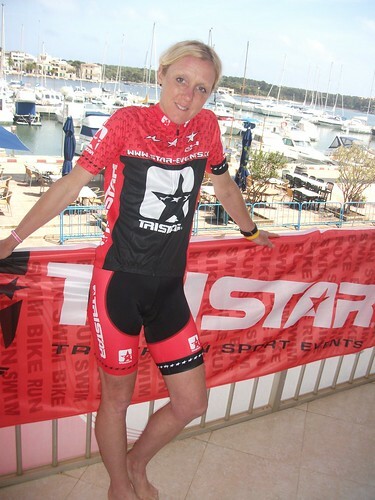 European Duathlon Champion 1997, German Heidi Jesberger has done many triathlons over the past couple of years. She likes training in Spain, especially on the Canary and the Balearic Islands. She's an athlete who likes exotic destinations, too, and her 3rd rank in Ironman China last year is one of the successes of her career. Coralie has started triathlon at the age of 30, although she was always active in various sports. She eventually discovered her passion for running, which then brought her to cross-country running and triathlon. She loves the variety of the sport, and if you ask her to decide which is her favourite discipline, she'll answer that it's cycling - not because she really prefers cycling over swimming and running, but because she likes the fact that she can enjoy landscapes and discuss with friends while cycling. Coralie is amazed by the island and likes it a lot, looks forward to the competition although she does not know the competition too well. Joel originally comes from the rowing sport which he engaged in during five years. The British did his first race as a pro three years later in Antwerp – “the worst race ever in my career with a half-marathon of 1h27,” as he calls it. Joel is a professional athlete and successful coach today (or was it the other way round?) hoping to make more athletes discover the beauty of triathlon. He’s a great cycling fan, and has been running ever since. He likes the fact that triathlon is an outoor sport, and the fun factor combined with a good cause he finds in TriStar suits him well. Esben from Denmark spent most of his teenage years playing rugby and football until a knee injury forced him to look for other options. He started light swimming and cycling... as he loved running ever since, triathlon was somehow the next logical step. When he unexpectedly qualified for the national team to participate in the ITU European championships, he started to realize he could go further in triathlon. 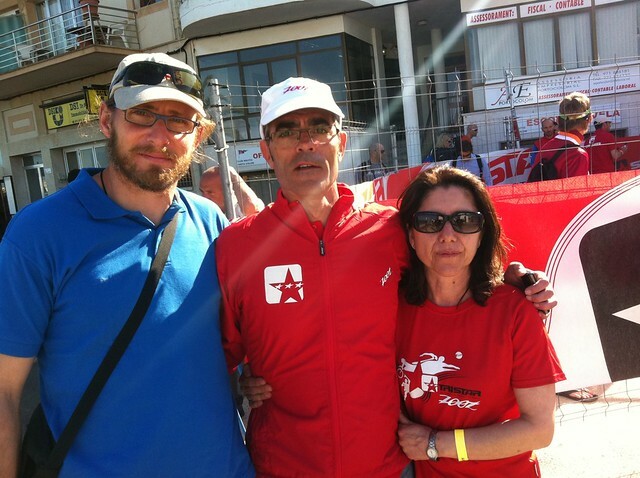 In October last year, he did his first TriStar in Sardinia - and won the race. Ain-Alar Juhanson from Estonia became national duathlon champion at the age of 17, after starting out in cross country skiing. He eventually switched to triathlon, and later won Ironman Lanzarote twice. Today, Ain-Alar is the organizer of TriStar111 Estonia and enjoying the organizer side of triathlon as much as the active side as an athlete. 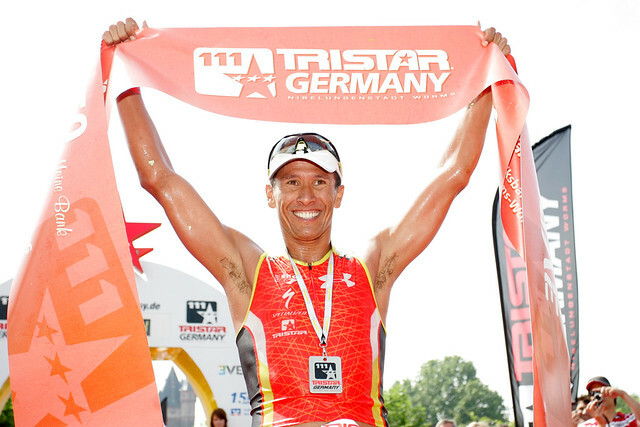 The man known as the first human to finish an Ironman sub 8 hours originates from the town of Worms in Southern Germany, which today is a TriStar destination. 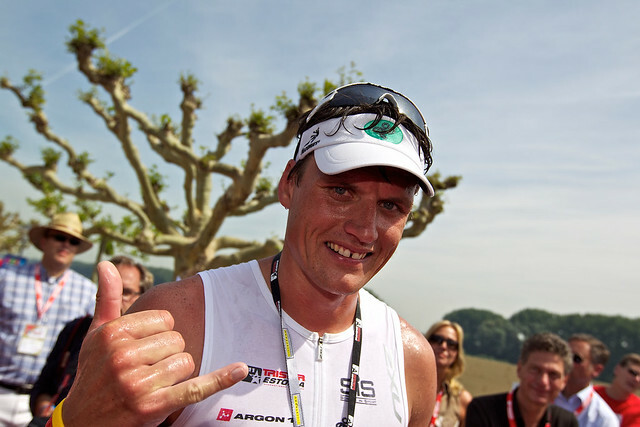 Lothar is one of the most successful German triathletes, multiple Ironman champion, three times German National Champ on the Olympic distance, and counts many more titles on his records. 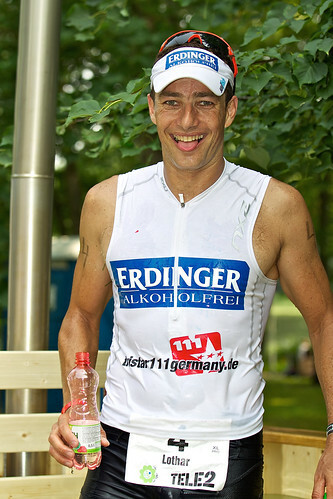 While still racing a lot and coaching others, he also became the race director of TriStar Germany – Worms. Lothar is crazy about cars and speed, so of you want to grab his attention (or distract him during the race), mention something with horsepower! Olivier Marceau of Switzerland is two times triathlon world champion, and he participated three times in Olympic Games, which is quite remarkable. He’s a short distance athlete who converted to long distance, and who has now found his perfect race distance in the TriStar111 format, as it combines the best of both worlds for him. 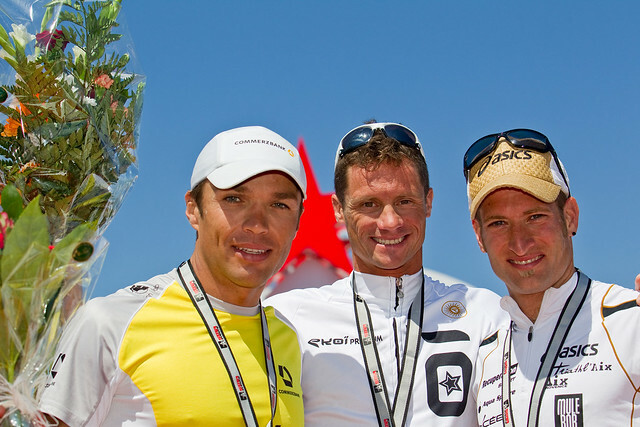 Olivier won the first TriStar111 he participated in in Monaco last year. He finished second in the second race in Nevis two weeks ago, while he won the StarMile2.5 Nevis~St.Kitts Cross Channel Swim. Olivier is a triathlon trainer and reads a lot in his spare time. Marcel is not only one of the most successful Spanish Triathletes, he’s also one of the most charismatic. 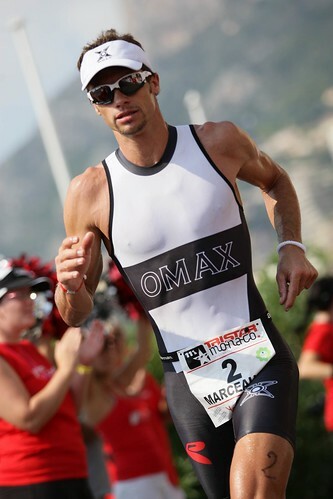 Marcel was born in 1978 in Barcelona and has seen massive popularity at Ironman Nice – a race he has won five consecutive times! He won the Embrunman twice, which says enough about his capabilities of demanding bike course layouts. While cycling is his strength, he’s call rocket for his running abilities. 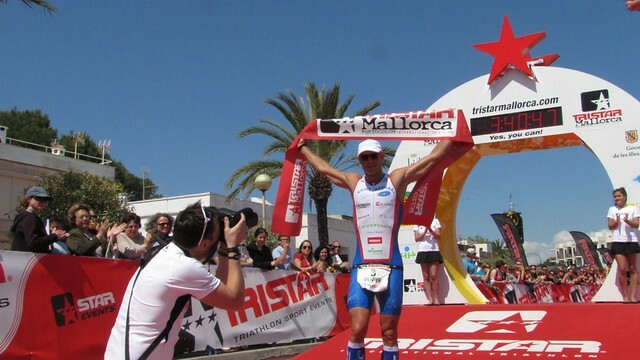 Marcel is definitely eager to win TriStar Mallorca in his home country Spain, even if it’s an island here. Norman won the Duathlon World Championship in 1994 and later went on to become two times Ironman World Champion in 2004 and 2006. He told us yesterday he likes the new format of TriStar111 because it's going to be a full speed race with no moments of relaxation. It will be his first TriStar111 on Sunday, so he's excited to find out how it develops. Looking at the startlist, it will be a fast race and Norman, too, will make pressure from the first second on in order to grab a spot on the podium. 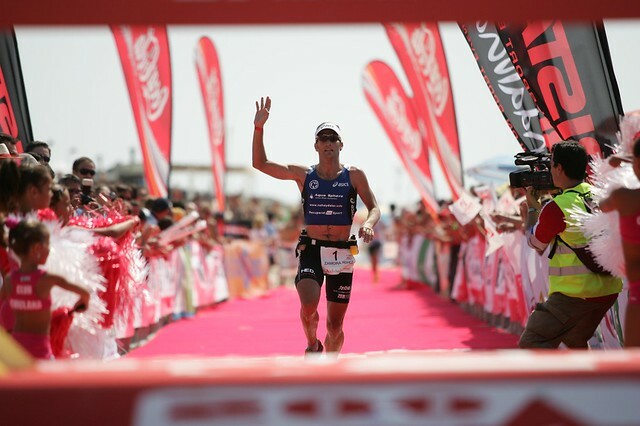 What can you say about two-times Ironman World Champion Macca Chris McCormack? He lives back in Sydney now, loves chocolate, has 2 girls and is married to Emma-Jane, has won 11 Ironman titles, was World Champion on the long distance and on the Olympic distance in the same year. To round this off, he announced earlier this year that he’ll be competing at the 2012 Olympics in London. He’s an ever-friendly athlete and we’re proud that Macca is an ambassador of TriStar because he is the TriStar philosophy come to life. In Sunday’s race, he’ll be the athlete with most experience in TriStar races (he has done TriStar Germany, Estonia, Monaco, and Nevis so far). His goal is to win all TriStar races he’s doing in 2011, and after ticking that off for TriStar Nevis two weeks ago, we now know he’ll be pushing hard on Sunday to climb the highest spot on the podium at TriStar Mallorca in Portocolom. Breakfast in Mallorca - and in Spain in general - is quite a lot of food to down in the morning. Not for a triathlete, it just looks funny to French and Italian people who are used to drink half a millilitre of thick super-strong espresso and eat one cream-filled croissant the size of an 2-euro-coin. 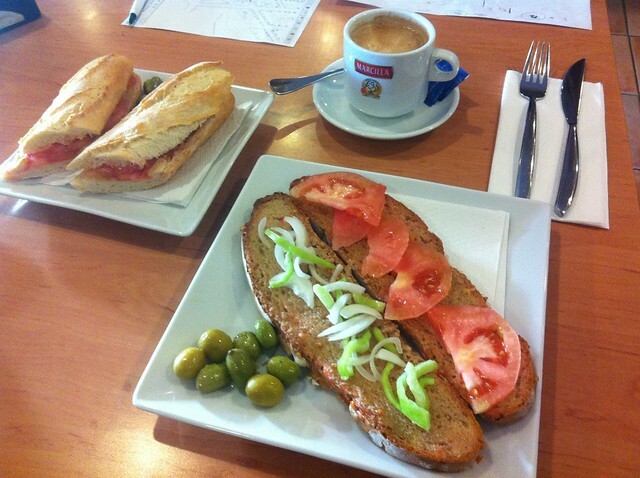 Here in Spain you would get toasted bread with Olive Oil (aceite), with bell peppers, onions, tomato and Olives. Yummy, that keeps you fresh for the day. Try it! It's time to venture a look at the upcoming days and what will be happening here on TriStarLive.com. ...will be the first day of events here in Portocolom, the Star&Co Village opens and athletes will be able to pick up their race packs from 12 - 19h00. Ivàn Muñoz Tebar, the well-known Spanish Coach will hold the 4vita Seminar at Cape Colom Hotel starting at 18h00. A Press Conference will be held with the PRO athletes at noon, that's also where we'll try to catch up with them to get some pre-race impression. Some of those who are already here in Portocolom went on the bike course to check it out others swam, and of of them were already seen running around. 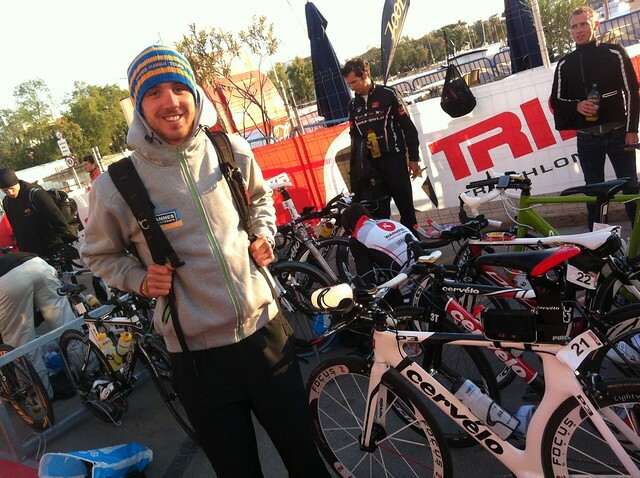 We'll also try to post some athlete profiles and have a look at the past of Portocolom Triathlon. ...a swim training session will be held at the beach at 10:00. 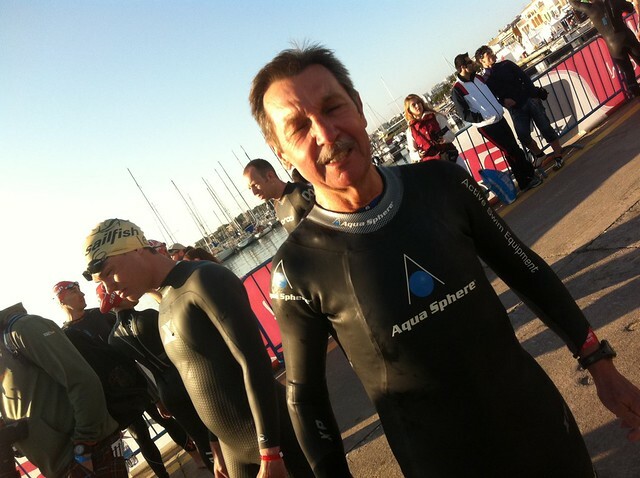 Athletes can also test sailfish wetsuits and/or rent one for the race. From 15-18h00, the bikes and bags check in will take place, while the Star&CO Village will be open from 10-19h00. The Briefing for TriStar111 athletes will be held on Saturday night - actually we're quite confident that all information has been given in the online Briefings already, so rather than an hour of tiring infos, we'll have an "Energy Party" to recharge batteries, have decent conversations with friends and idols - and we'll highlight the most dangerous parts of the race to watch out for. The rest can be checked online. We'll try to follow through the day's events and keep you updated throughout Sunday. Some short video clips of some of the day's highlights. Looking forward to having you here on TriStarLive.com, and thanks for your help spreading the message and the link to this website. 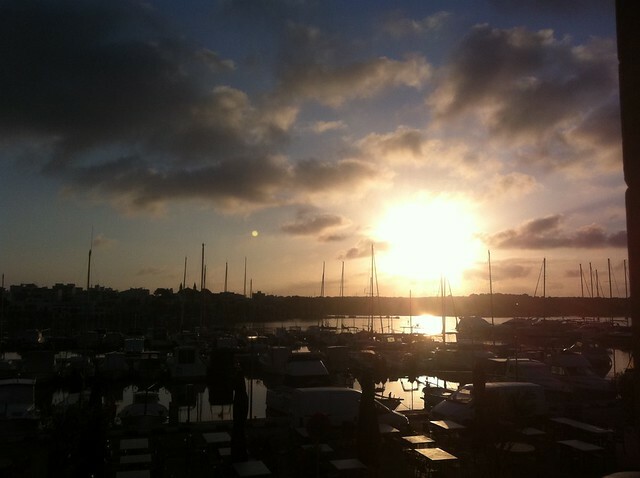 Portocolom is preparing for the TriStar race on Sunday, and everybody seems to be aware of that race. Of course, after 13 years of Triathlon here in this town, locals have become used to seeing triathletes come to town. What is new, though, is the number of international athletes. While most of the 250 participants in the past years came from Mallorca and Spanish mainland, 150 of the 350 athletes this year are internationals. Portocolom waits for you with open arms - there are posters everywhere, and most of the restaurants show that they are triathlete-friendly with a special "WELCOME"-poster. Feels good to be liked! Hope you'll like it, too! 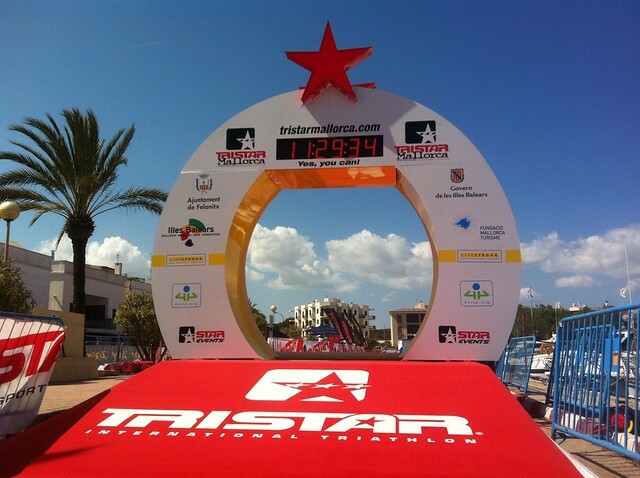 The next TriStar race is TriStar Mallorca on 17 April 2011. Live Coverage will start on Thursday with some light previews until Saturday, and then be live on Sunday.